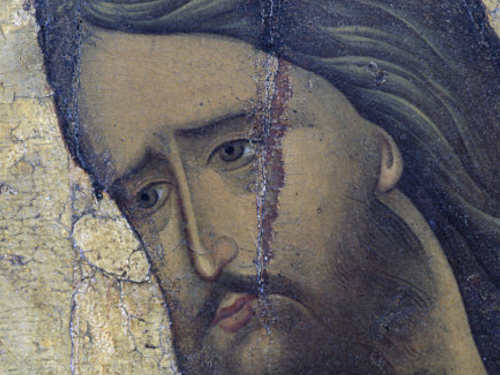 Finding the head of John the Baptist — the most important Orthodox holiday. And although the celebration among Catholics and Orthodox differs, all believers are united in the spirit of this event. This saint is better known to the Western world as John the Baptist, who performed the baptism of the Messiah himself — Jesus Christ. He was an ascetic, lived in the desert, and baptized people in accordance with Jewish traditions. At that time, Judean king Antipas ruled, who ordered to seize John and put him in prison. He did not want to execute him, but the daughter of Herodias dreamed of killing John because he denounced her marriage. She secured the king, and then asked him to bring the head of John the Baptist to her. The king promised to fulfill any of her wishes, so the Baptist was soon executed. It was the greatest prophet in the history of Christianity, therefore the day of beheading his head is a holiday and the date of great sorrow at the same time. On this day a strict fast is observed. The calendar is September 11th in a new style. March 9 is celebrated not a day of memory, but the acquisition of a chapter. As mentioned above, the saint was beheaded, but the evil Herodias did not allow her to be buried — for a long time she kept her terrible trophy. Later, the head was found on the Mount of Olives in a burial. So the first finding of the head of John took place. At that place it was decided to erect a temple, which later decayed. The second finding took place during the reign of Emperor Constantine. Two monks found their heads — one of them had the spirit of a saint and indicated the place where to look. Then they transferred it at the request of the spirit itself to the pious man. For a couple of generations, it was inherited, after which it was hidden in Emesa’s cave. Subsequently, a monastery was erected there, and a priceless relic was transferred to Constantinople. The second acquisition is also celebrated on March 9 at the same time as the first. there will be a festive liturgy in honor of those wonderful moments when the relic was held by righteous people. The peculiarity of this year is that because of the extra day, February 29, the holiday is shifted by a day. The celebration will take place not on March 9, but on March 8.